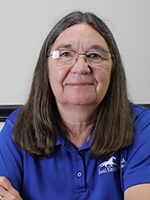 Linda Dzierba has been in business since 1987 and has owned her own company, as principal broker, since 1988 serving on numerous committees (Professional Standards, MLS, Director, Publications) on the Bloomington Board. She was Secretary of the Greene County Board for two years. She and her staff cover all of Monroe, Greene, Brown, Lawrence, Owen and Morgan counties. and are members of the Bloomington and Indianapolis MLS systems. CRS stands for Certified Residential Specialist. The CRS Designation is awarded to knowledgeable REALTORS® who have completed advanced professional training and demonstrated outstanding professional achievement in residential real estate. Only 3% of REALTORS® have the necessary skills and qualifications to earn the CRS Designation. Linda Dzierba is among them, providing real-estate services based on decades of experience in the home buying and selling process. Bringing together the nation’s best-qualified professionals in the real estate industry. Specialized REO and Short Sale brokers, each with an average of over twelve years experience in marketing REO properties. Professional network of over 30,000 residential real estate professionals in the U.S. and overseas. Dedicated to advancing the careers of professionals through education, networking and teambuilding. Providing fair housing for everyone throughout the whole of the United States. Located on the outskirts of Bloomington, Indiana our office is welcoming and easy to find. Our cheerful staff members are here to assist you with all your real estate needs! We will keep you updated on local real estate opportunities, share our extensive knowledge and experience and support you through all of your home selling or buying adventures! All content ©Linda Dzierba | Website Textweaver | Powered by Consultech .